Imagine a supply chain with a constant cost structure, constant supply, constant quality and a constant market demand. In the real world change is the only constant. All industries forecast and spend a considerable amount of time (and money) attempting to predict the future. Lead indicators are pre-runners of actual events that are likely to impact an industry in the near future. The TradingEconomics website (http://www.tradingeconomics.com/) collate hundreds, if not thousands, of indicators that could be used to predict future market movements. These include markets, trade, government, housing and business variables for approximately 200 countries. For example, drawing on the data in TradingEconomics, Figure 1 illustrates the building permit approvals (dollar values) over the past decade in New Zealand and the number of building permits approved in Australia. Figure 1. 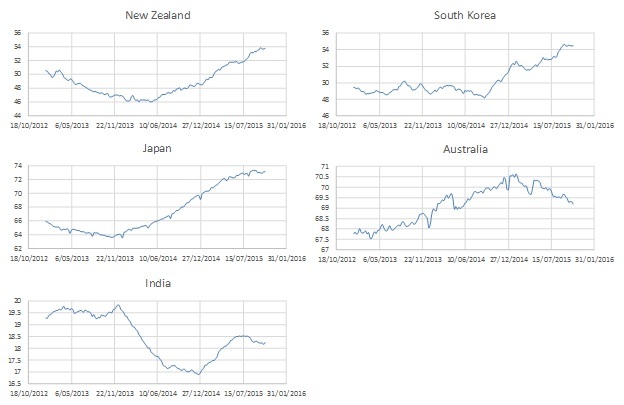 Building permit approval data made available by governments and collated by the TradingEconomics website. Lead indicators can also be generated through internet scraping methods. Valuable information can be gathered with sufficient understanding of markets and internet usage. Figure 2, for example, shows the relationship in the USA between the number of web site visits to real estate brokers (blue line) and furniture removal companies (orange line). Increases and reductions in real estate activities had an obvious subsequent spill-over effect on furniture removal companies. Figure 2. Internet activity levels for real estate agents and furniture removal companies in the USA over time. In the previous financial year Ford noticed a clear lead between commercial vehicle sales and passenger vehicle sales in China. This also makes sense; because when commercial vehicle sales go up, business is good and soon people will be purchasing new private cars in the same region. Forklift sales is a possible strategic lead indicator for wood product consumption. When a business purchases a new forklift they basically say: “We are planning to load and off-load things so that they can be moved around”. The ResearchAndMarkets group (http://www.researchandmarkets.com/) generate forklift industry reports that could be valuable to other industries. An increase in the number of forklifts in an industry will correspond with increasing numbers in wooden pallets and packaging material. Figure 3 illustrates indexes of internet activities that can be associated with forklift purchases and maintenance in five countries where New Zealand timber and logs are sold. Figure 3. Internet activities for forklift equipment in some of the main countries where New Zealand wood is sold. Crowd sourcing can also be a potentially valuable forecasting method. Over the past year Scion generated four crowd sourced-based log price outlooks. 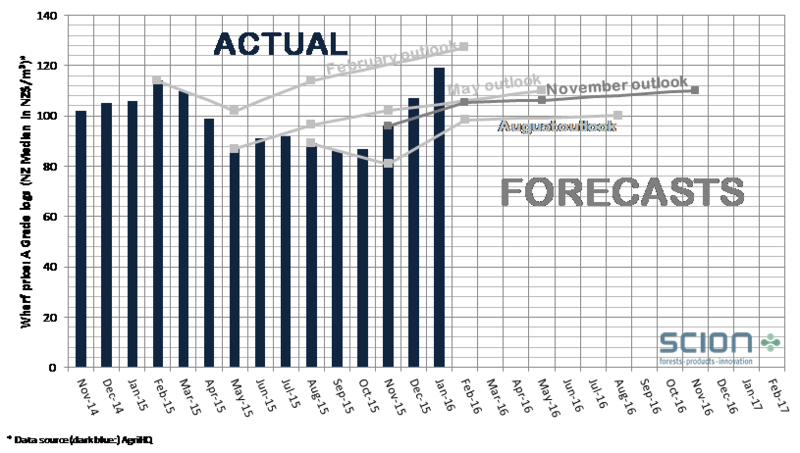 Figure 4 shows the four outlooks (generated last year in Feb, May, Aug and Nov). This year Scion will repeat these outlooks and will also include information that was scraped from the internet concerning forklift sales and maintenance. We are keen to have deeper conversations with marketing and production planning people in the industry in order to better understand the context. Figure 4. Forecasts of log prices over the past 12 months based on industry participants’ personal views. This article was written by Carel Bezuidenhout, Science leader in Value Chain Optimisation at Scion (carel.bezuidenhout@scionresearch.com).